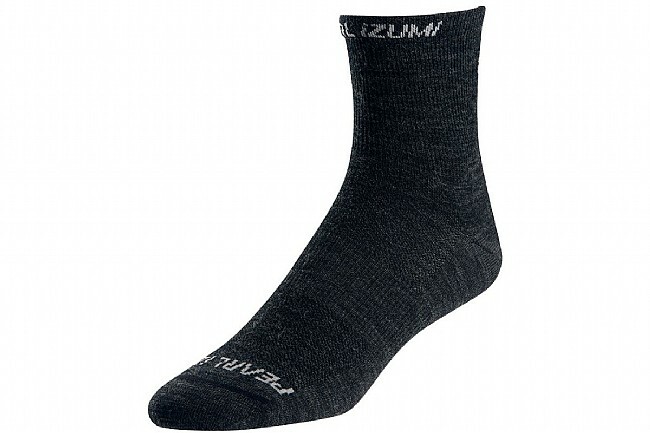 Pearl Izumi's Elite Wool Sock adds Merino Wool into the mix to give it extra warmth come cooler weather. You can wear this sock well into the winter thanks to its warmth-retaining properties even when wet, and the extra Merino in the heel and toe areas creates additional comfort without bulking up the sock. Anatomic arch compression provides a performance fit, and the flat-seam toes ensure maximum comfort. 46% Merino Wool, 51% nylon, 3% elastane. They are on the this side a bit. All seasons. Dont dry them, they shrink. These are comfortable and seem to breathe nicely (as you'd expect with a Merino wool blend).